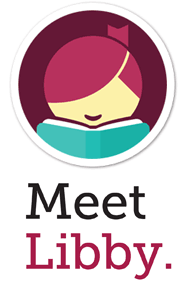 Meet Libby, a brand new app built for OverDrive readers and listeners to discover and enjoy eBooks and audiobooks. Libby was designed to help you get reading as quickly and seamlessly as possible. Get the app for your phone or tablet! 1. A valid Westland library card. Our contract with OverDrive does not allow us to offer this service to other communities, but many other area libraries also offer access to Download Destination. 2. Make sure you are using a compatible device. Compatible devices include PCs, iPhones, iPads, Android phones, Kindles, and NOOK tablets. Check out the complete list. 3. Download the free required software, OverDrive or Libby to your computer or portable device. Due to the legalities of downloading digital media, library computers cannot be used to transfer digital downloads. You must have your own computer or access to a computer if you need to use one to get a title onto your device. 4. Search for titles using Download Destination. At this time, we are able to offer Hoopla to patrons with a Westland library card. Check-outs are limited to 6 per month per person (library card). In order to use Hoopla, you need to set up an account using your library card number and PIN. For help with that or other questions, check out helpful YouTube videos or Hoopla FAQs (Frequently Asked Questions). RBdigital (formerly known as Zinio) allows you to check out digital magazines. Download their app for iOS, Android, or Kindle Fire. There is no time limit for check-outs from RBdigital. Once you check out a magazine, it remains on your device until you delete it. At this time, we are able to offer this service only to patrons with a Westland library card. For more information and help getting started, check out RBdigital FAQ. TumbleBooks Premium is your family's answer to building reading, math and multiple literacy skills in one website. It includes animated talking picture books, chapter books, videos, non-fiction titles, playlists, books in languages other than English (such as French and Spanish), as well as graphic novels and math stories. To access TumbleBooks Premium, you will need a valid Westland library card. Flash 6 plug-in - (If necessary, download Adobe Flash Player). Need more help? Stop by the Reference Desk or give us a call at 734-326-6123.